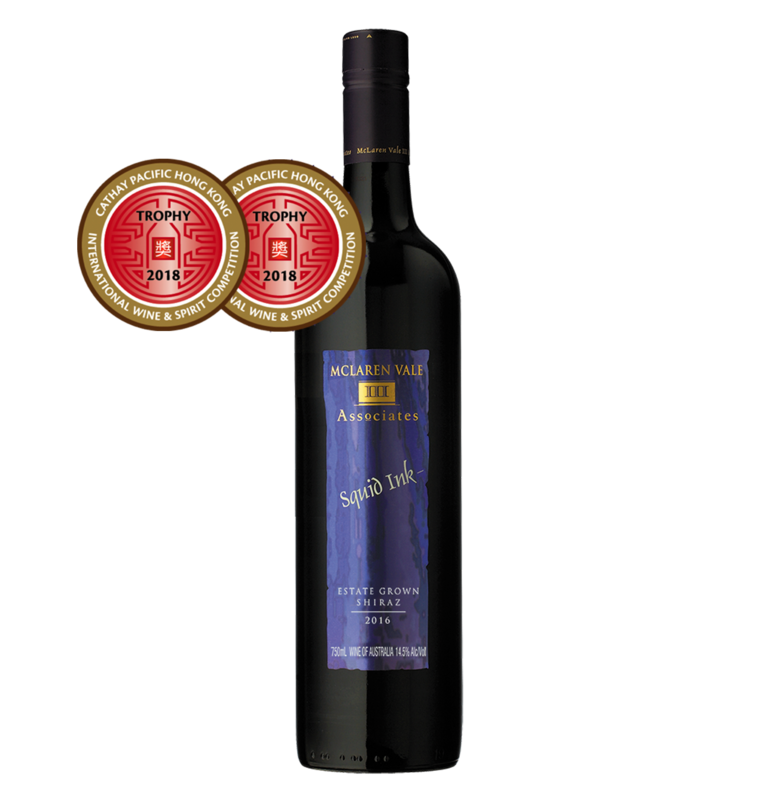 Double Trophy – Hong Kong IWSC 2018 – Best Red Wine from Australia & Best Shiraz!!!! 95pts James Halliday Wine Companion 2019 – From the estate vineyard. It spends 18 months in new American oak, but as with the ’14 Reserve (the previous release) it’s far less obvious than you might expect. It is full-bodied, but with a certain lightness of touch to its amalgam of black berries and cherries, savoury tannins and a farewell kiss of regional dark chocolate. For the record, it is described as ‘Reserve’ on the back label. 14 reviews for 2016 Squid Ink Shiraz – DOUBLE TROPHY HONG KONG IWSC! SOLD OUT! This is my go to wine when I am looking for something special . And I have never been let down. We’re so happy you think so Gary, we love our little gem in the heart of McLaren Vale. Great to hear you’ve been trying the range and enjoying them all.. you know where to call when you’re stock is running low! This wine is so luscious and mouth filling it is at the top of my special wine list! Thanks for the review Chris, we’re stoked you’re loving the Squid, as do we! Have bought so much of this wine as you just have to keep buying each year….you don’t want to run out! Nothing better for the price! Purchased 3 bottles a month or four back through an online promotion. Love the name, it’s quirky and the label design kinda ties it all together. Living on Kangaroo Island, we catch lots of squid, so I reckon it was a subliminal message drawing me to the purchase. It’s only a young buck and small fish are sweet, but we must resist temptation for a year or three! Yes patience is a virtue and timing is everything. Enjoy when the time is right.. cheers Peter! Was fortunate to sample at the seller door – wow – very smooth. Unfortunately my wife (and budget) only allowed me to purchase a couple of bottles (along with some other varieties on offer). Still awaiting the right occasion but it will be special with this drop! A phone call almost 15 years ago started the journey. I’ve since purchased almost every release with my favourite being the 2010.! Never disappointed. And it’s big brother the ” Giant ” has been host to special occasions ever since. Thanks for the review Peter, so glad you’re still enjoying our Squids after so many years! And yes the 2010 was a fantastic vintage. Thanks for sharing the love. Have every vintage from 2012 to current in my cellar. Always a crowd pleaser not to mention crowd favourite! Perfection in a bottle… I like that! I pine, I long, I salivate and I equally mourn and savour the drinking of every bottle. I postpone drinking every one of these until I can’t stand it any longer. What more can I say? I’d mainline this into my veins if I could. I have been buying this wine since its inception. We have drunk all the wine up to the 2008 vintage and can attest to its longevity. A truly fine wine, one with depth & flavour. We recently enjoyed a couple of bottles of the 2012 Squid Ink when we tasted it against the 2017 Cleanskin Pallet we purchased recently. The 2012 Squid is a flavorsome, well balanced wine with a long finish that will improve for up to another 10 years at least. And it is gaining notoriety! We opened a 2008 Squid Ink I purchased about 2010 or so I suppose last week for a birthday – the difference the time made was amazing. Still hints of purple, but it didn’t need the usual airing time to open up.